One of the most common sources of problem debt in Northern Ireland is store cards. These cards are similar to credit cards but can only be used in a particular shop. 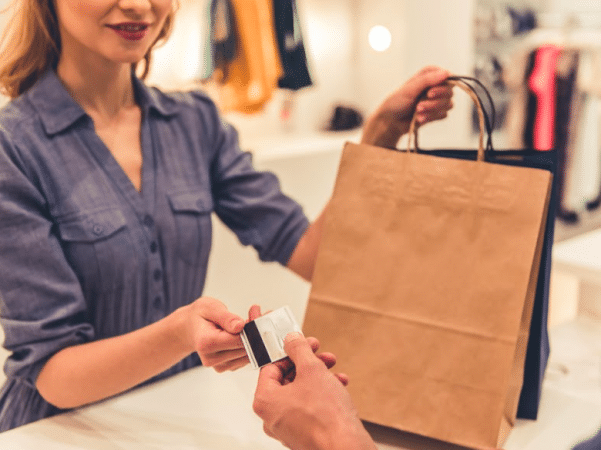 Often, shoppers are signed up to a store card by a member of staff with no special experience or training in finance, like a bank employee would, and they often use initial discounts to persuade customers to sign up for their cards. Store cards usually have very high-interest rates, often significantly higher than ordinary credit cards and often as high as 25 to 30%, which is why so many people find themselves struggling with them. Borrowers who miss payments are also hit with penalty charges, making the debt even more expensive. Often stores will send marketing material and promotions to customers using their cards to encourage them to spend more money, pushing their debts up further. If you’re one of those people in Northern Ireland whose store card debt has become unmanageable, we can help you to deal with it. At Get Help With Debt, we can negotiate with your creditors to write off thousands of pounds in debt and help you to manage the remainder, so it’s affordable for you. The first step is to take our free online assessment and then book your free, no-obligation consultation with one of our debt advisors at our Belfast office to find out how we can help you. Once you’ve met with your advisor we can present you with a number of possible ways to deal with your debts and you can make an informed decision about what approach is best for you. We offer a range of options to meet the specific needs and circumstances of our clients. One option to consider is a Debt Management Plan. This will leave you with a single affordable monthly repayment and will last until your remaining debts have been paid. An Individual Voluntary Arrangement, or IVA, will be more suitable for borrowers who owe money to multiple creditors. For a few people, self-petition bankruptcy might be necessary. Once you and your advisor have agreed on the best course of action for you, we do all the hard work, handling all third-party communications for you, so you don’t have to deal with your lender anymore. So, if you’re in Northern Ireland and struggling with debt you can’t afford, take our free debt assessment, email us or call us on 02890 393 626 and start the process of moving on from your unmanageable debts today.